Android provide the perfect compatibility of hardware and software. Android marketplace have apps in each and every field. With the advancement in technology Engineering Education becomes popular. Students like to do the bachelor and Masters in Different types of Engineering Computer, IT, Civil, Mechanical, Electronics etc. Android apps for Engineering Students, With the help of these apps students can learn the basic concepts of their fields. Students do not need to carry heavy books of Engineering concepts. These apps provide freedom to Engineering Students to read, learn anytime and anywhere without spending Money. In this Article we are going to discuss about the Best Android Apps for Engineering Students with a brief description of each. Students can use according to their Choice. List Of Best Android Apps For Engineering Students. 3. Maths Formulas For Engineers. 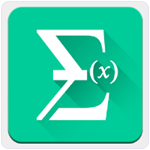 It is recommended in all android apps for Engineering Students which is available on Google Play store. 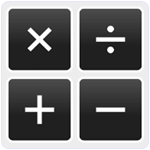 It is a scientific calculator which can perform many types of calculations like log, algebraic, unit conversion, physics constants table, Angle values etc. It can remember ten memory places result history. It can also perform octal, Binary, hexadecimal conversion. It has extended 32 bit precision. Approximately 50 million user download this app. 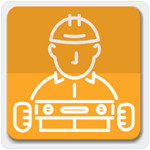 It is an android app specially designed for Engineers to solve their daily problems. It also provide help to Mechanical engineers to solve their field related problems. It include various reference tables, calculator and converters. We can perform calculation in SI and imperial units. It is a light weight Android app which is compatible with Android 2.3 or higher version. Approximately 0.5 million user download this app. It is one the best in all Android apps for Engineering students. It is a light weight Android App with easy to see use interface. It contain all the Engineering Mathematics formulas. Now we do not need to remember complex mathematics formulas. With the help of this Android app we can easily use any mathematics formula when we need without searching in books or on internet. It is also good for Engineering Students. Approximately 0.1 million user download this App. 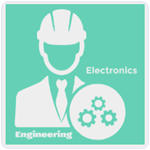 Electrical Engineering is popular Android app for Electrical Engineers and Students. 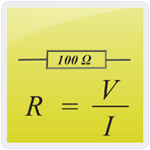 This app is divided into three different components Electrical Calculator, Electrical formulas and Electrical Circuit. We can easily determine the relationship between the work, power and energy. We can calculate the current, voltage and resistance. It also provide the built in formulas for calculating the series or parallel resistance. We just only need to type the resistance. Approximately 1 million user download this App. 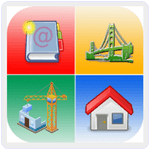 It is popular Android App specially designed for the Civil Engineering students. It provide all the words used in the Civil Engineering field with a brief description of each and explanatory images. This app provide the in app browsing of Civil Engineering Notes, tutorials, lectures. We can easily find the word related to civil engineering in the search Bar and after typing some word it provide automatic suggestions. Approximately 0.5 million user download this App. Software Engineering app is basically designed to know the basic concept of software Engineering for Computer and IT students. This app will go through the process of software designing and development. 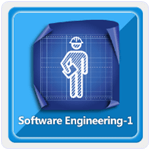 It provide more than 150 topics of software Engineering which are arranged according to chapter wise. It provide easy to use interface with attractive look. Approximately 50 thousand user download this app. This app is designed for Mechanical Engineering Students. This app has rating of 4.1 on Google play store and this is free to download. 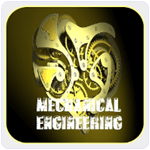 This app provides all the basic concept of Mechanical Engineering and also provide many online course to become professional of Mechanical Engineering. Topic are arranged according to chapter wise. Approximately 50 thousand user download this app. Automobile Engineering is very vast field. 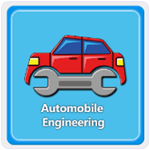 This Android app is designed for automobile Engineering student. This app cover all the basic topics of automobile engineering. Topics are arranged according to chapter wise. We can easily search topics with keywords. We do not need to carry heavy books of automobile engineering. We do not need to pay anyone for this knowledge. Approximately 50 thousand user download this app. This app is basically designed for Electronics Engineering student to learn the basic concepts of electronic Engineering. We do not need to carry heavy books with us and do need to search the contents on the internet. This app provide the chapter wise arrangement og topics and explanation on each topic the diagram. It is light weight Android apps which has a rating of 4.1. Approximately 10 thousand user download this app. It is an amazing Android app for computer Engineering students. 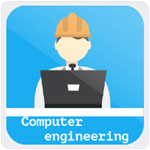 It provide all the basic to expert knowledge related to various concepts of computers. As a Computer Engineering Student we should have a good knowledge of computer Hardware and Software to take a job on our dream company. This app provide the knowledge about the programming, system programming, Networking, security, computer Architecture etc. Approximately 10 thousand user download this App. Hence, these are the best android apps for engineering students that they can install on their smartphones. Share this list of useful apps with your college friends as well.